Have you ever wanted to know what you’re favorite astromech is saying? 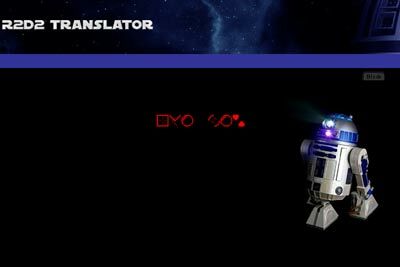 Now you can with the R2 Translator. This entry was posted on Tuesday, December 4th, 2007 at 1:04 pm	and is filed under General.